Do more in the data center you own with Lenovo BladeCenter HS23. This efficient server helps you manage big data and is ideal for a wide variety of workloads including virtualization and cloud infrastructure solutions. 10GbE Virtual Fabric options provide high networking bandwidth. 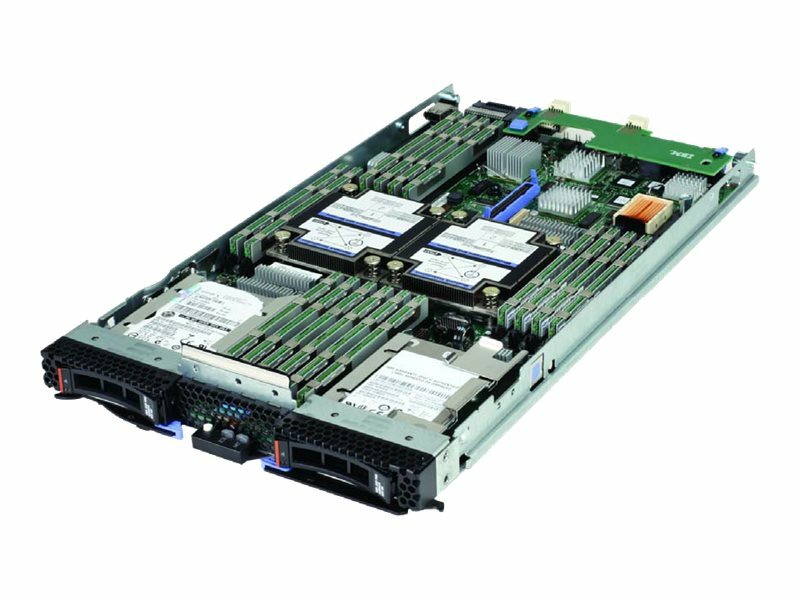 The HS23 offers outstanding performance, with support for the Intel Xeon E5-2600 v2 product family. BladeCenter H, BladeCenter HT, and BladeCenter S supported. BladeCenter E has limited support. There are 16 DIMM slots in total. One slot contains a removable 8GB module; the others are available. *To achieve maximum memory, the original chips MUST be replaced and two processors must be installed. The BladeCenter HS23 supports Very Low Profile (VLP) DDR3 memory RDIMMs. The server supports up to eight DIMMs when one processor is installed and up to 16 DIMMs when two processors are installed. Each processor has four memory channels, and there are two DIMMs per channel. Mixing 1.5V and 1.35V DIMMs in the same server is supported. In such a case, all DIMMs operate at 1.5V. The maximum number of ranks supported per channel is eight. The maximum quantity of DIMMs that can be installed in the server depends on the number of CPUs, DIMM rank, and operating voltage. - Lowest maximum operating speed for the selected memory configuration that depends on rated speed. Matrox G200eR2 graphics with 16MB video memory integrated into the IMM2.